Blogs and Websites we LOVE! Exciting news! 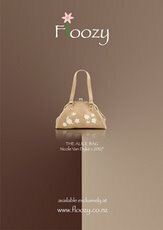 Over at the Floozy Store we've had a makeover! 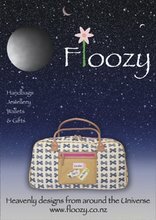 You'll now find the Floozy Blog here! So if you subscribe to this blog be sure to head over to our new on site blog & subscribe to the RSS feed. Even better, why not join our members area? ......... and perfect for Mothers Day!! Gorgeous new Ruby & Ed designs. Slippers Cinderella would be proud of! Head over to the store to view our full collection! We're also offering free gift wrapping from now until May 11th! ........... to one of our favourite Designers, Nicole Van Dyke! Paris based, Nicole, has been selected as one of the Designer's to dress Minnie Mouse for her 80th birthday, pictured left, Minnie in her Nicole Van Dyke finery! London Fashion Week Starts Today! Sunday 10th February sees the start of London Fashion Week! Previewing northern hemisphere collections for Autumn/Winter '08/'09. Unfortunately, Floozy can't be there for this fashion week, but we'll be keeping a close eye on the website, where you can watch LFW TV, videos for all catwalk shows will be added from Sunday afternoon! Hey Boys! That most romantic day of the year is almost upon us! 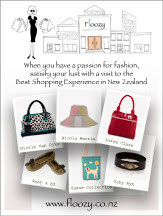 Score yourself some "Passion Points", visit Floozy to see our suggestions for a perfect Valentine's gift. 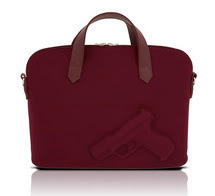 Ladies, we added the "Wishlist" to our website, so you could express your Heart's Desires on occasions such as this. Email your "Wishlist" to loved one, give them a gentle nudge in the right direction! My Second Favourite NZ Sale! Obviously my favourite sale of this season had to be The Floozy Sale, with fantastic bargains galore! But runner up was definitely the sale at Untouched World, which I believe is still on! I was in the Christchurch store last week and picked up this beautiful "Kowhai Dress", wonderfully cool for the heatwave we're enjoying at the moment, it makes me feel very girly & feminine! Sadly, this great New Zealand clothing store doesn't offer online sales, but you can download the latest catalogue from their website and telephone one of the stores to place your order. The clothes are all designed and made in New Zealand, from gorgeous fabrics, including Untouched World's trademarked "Mountain Silk Merino" and soft organic cotton. Hurrah! Expected in store some time in February, the newest addition to the Philips/Swarovski Active Crystals Range.